From the swamps of Recife to the Bayous of New Orleans through the streets of NYC - Maracatu New York has has been bringing their thunderous sound and hybrid grooves to NYC parties, events and parades since 2002. We offer various types of performances ranging from small to large corporate events and educational programs and assemblies. 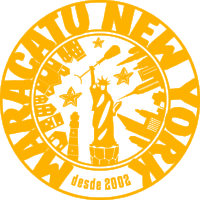 Maracatu NY has been performing, parading, collaborating and recording in NYC since 2002. Featured performances include Lincoln Center Out of Doors, Celebrate Brooklyn, Central Park Summerstage-Brasil Fest and many more.